CARIBIQUE® Villa Rentals is refreshingly different and brings an entirely new level of quality to the “by owner” vacation villa rentals market. We will showcase your Caribbean holiday villa at its very best. Our website is informative, inspirational, tempting and provides a very intuitive visitor experience. CARIBIQUE® Villa Rentals is exclusively for Caribbean villas listed by the owners themselves or their authorized property manager. With CARIBIQUE® Villa Rentals you have flexible options to market your Caribbean villa rental your way. You can do everything yourself or we can do most of the work for you. Standard Subscription: USD $499 per year. Premium Subscription: USD $998 per year. Performance Marketing: FREE listing, you pay only for confirmed reservations. You create your own villa listing and keep it up-to-date. All inquiries go directly to the e-mail address and/or telephone number of your choice. The cost of a standard villa listing subscription is ONLY USD $499 per year. That is just over $1 per day for a top quality villa listing and effective villa rental marketing. We create your unique Caribbean villa listing for you and continually keep it up-to-date. All inquiries still go directly to the e-mail address and/or telephone number of your choice. The cost of a premium villa listing subscription is ONLY USD $998 per year. That is less than $3 per day for a top quality, hassle-free villa listing and effective villa rental marketing. Volume discounts for listing multiple (2 to 19), unique, Caribbean villas range from 10% to 50% for both standard and premium subscriptions. 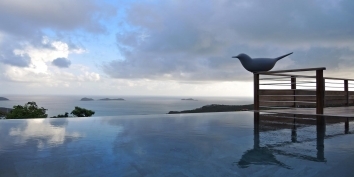 If you are interested in listing 20 unique, Caribbean villas or more, please contact us for further details. We also offer technical integration for large portfolios to drastically reduce the amount of administration required. We guarantee that if you are not 100% satisfied with your standard or premium subscription within 30 days from the purchase date, we will fully refund the cost of your subscription. There is no annual subscription fee associated with our performance-based villa rental marketing option. We create your unique Caribbean villa listing for you and continually keep it up-to-date. You pay us an exceptionally competitive commission per reservation. Please contact us for further details. A beautiful, full page, villa listing, based on a professionally designed template. Google Map showing the location of your villa. Flexible rates table with different dates, rates and configurations (number of bedrooms, maximum occupancy). Availability calendar to support availability search. “Send to a friend” function for visitors. Social network integration, so that visitors can easily and publicly recommend your villa listing to their families, friends and the world on Facebook, Google +1 and Twitter! All villas are automatically featured throughout the website (random selection) and may be featured in our newsletters and other marketing. Optional newsletter to keep you informed about CARIBIQUE Villa Rentals and help you get the most from your subscription. If you are interested in any of our flexible options for listing your Caribbean villa, please contact us without any obligation. It’s the quickest and most convenient method. You’ll be able to start creating your listing as soon as your credit card payment has been authorized. It’s the cheapest method. No additional bank charges. It’s the safest and most secure method. We use the services of 2Checkout.com to ensure your credit card payment is processed securely and safely. No danger of your payment going to the wrong bank and/or account. Also, in the unlikely event that you request a refund, we can refund your credit card just as quickly and easily as you made the original payment. Performance marketing payments can only be accepted via wire transfer.